Maroua Kharbouch, Miss Gibraltar 2013, has presented a cheque for £500 to Daphne Alcantara, Chairperson of the Alzheimer’s and Dementia Group. This weekend, a tribute charity concert will be held in aid of local charity ‘Pathway Through Pain’. Local Teenager, Philip Diaz, passed away last year following a battle with terminal Cancer. Philip had become increasingly involved with the charity, which assists families who are experiencing financial troubles due to illness. 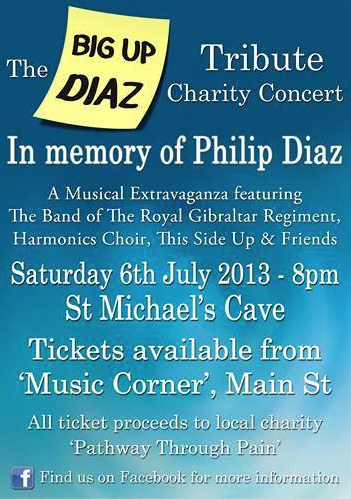 The concert, dubbed the ‘Big Up Diaz Tribute Charity Concert’, will feature performances by the Royal Gibraltar Regiment band, the Harmonics Choir, local act This Side Up and others. Childline’s Annual Treasure Hunt will this year take place on Friday 26th July. 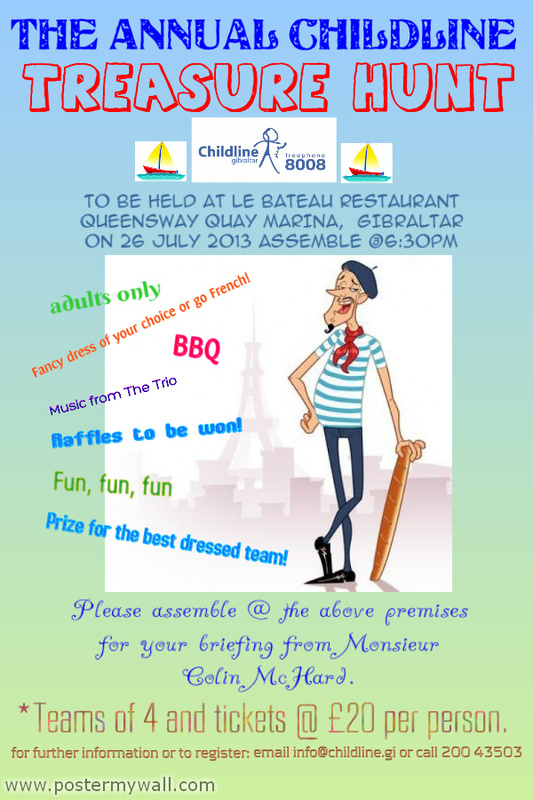 Teams will assemble at 6:30pm on that day at Le Bateau in Queensway Quay where there will be live music, raffles, a BBQ and a prize for the best dressed team. Groups can wear a fancy dress of their choice or “go French” with a beret, a striped top and a compulsory baguette! 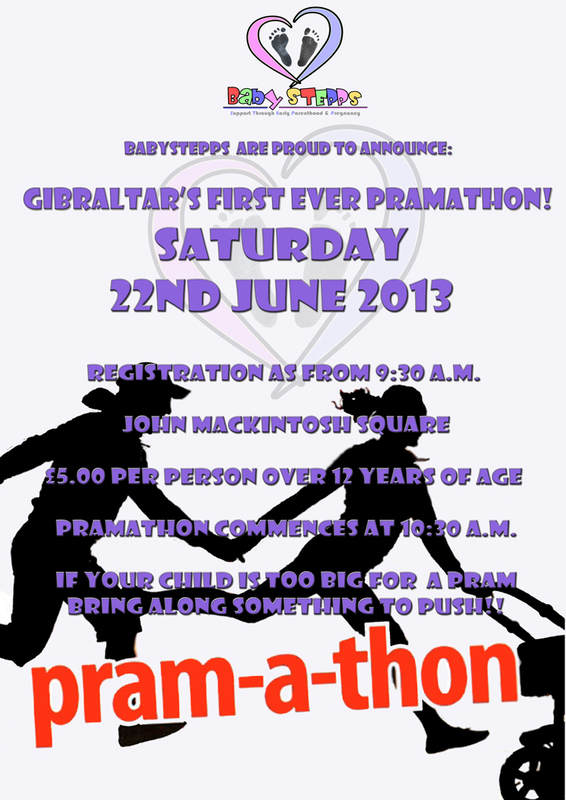 BabySTEPPs will be hosting their biggest event to date: Gibraltar’s first ever Pramathon. Vice-chairperson Louise says “a Pramathon is simply a charity walk WITH prams so we encourage all the family to come along with their buggies and take part in the event. This is a family event, and contrary to other charity walks, we invite all participants young and old to come along and “push” something along the way. Whether it’s a pram, a wheelchair, a toy car, a toy buggy or those tug-a-long toys, bring them with you on Saturday. Let’s make this a fun and memorable event”. “The 50% increases in both the maternity grant and the nursery allowance will no doubt ease the financial burden for parents of young children. In addition, the new children's bond in the Gibraltar Savings Bank and the £500 deposit the Government have pledged for every new baby will assist parents wishing to set up savings schemes for their children. We are also very much encouraged to hear about the commitment towards ensuring friendlier working hours for public sector workers. Bayside Comprehensive School recently held a ‘Dress Down’ day in aid of the Gibraltar Society for Cancer Relief as part of the Operation Daffodil Bike Challenge which will start from Norway, just inside the Arctic Circle, and end in Gibraltar in August 2013. 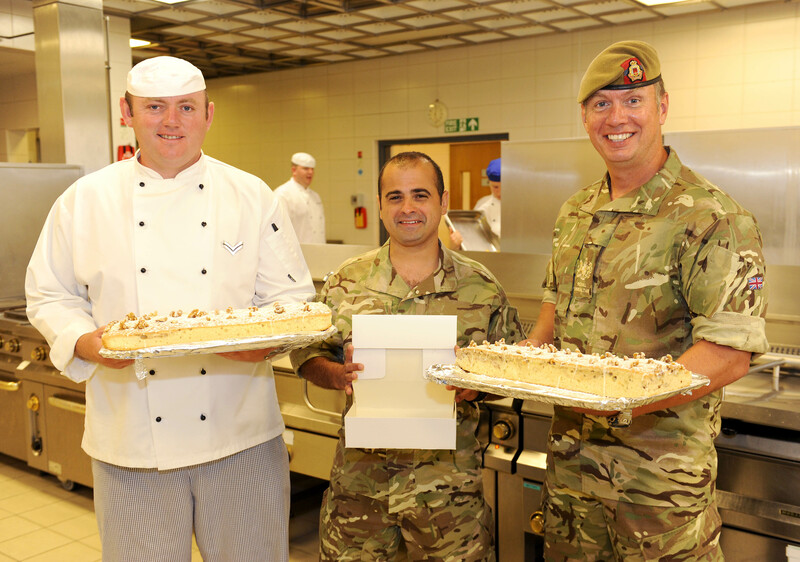 The Royal Gibraltar Regiment Warrant Officers and Sergeants Mess are about to set the record for the longest cake ever recorded in Gibraltar. The Marble Cake with Walnuts and Orange Glaze will measure 75 Feet and be on display in Casemates Square on Friday 28th June from 1000 till 1200.